People often ask us what our former Model UN students are up to after they graduate high school. Recently, we got in touch with former TCMUN chair and current University of Utah junior Sloane Gordon. Inspired by her MUN experience in Jackson Hole, Sloane founded her own MUN student group at the U of U. Read on to hear more about her story and how to support the students’ passion for international studies. “My name is Sloane Gordon and I was first introduced to Model UN in high school via a mandatory participation in TCMUN for one of my classes my sophomore year. While very naïve to what MUN was about at the time, I was nevertheless very excited. Tasked with evaluating environmental migration and the progress of the Millennium Development Goals through the lens of China in the Economic and Social Council, I spoke my way to strong alliances and stronger working papers during the first day of the conference. When I woke up the next morning eager to finish what I had set out to do only to discover I was bedridden with a terrible stomach flu, I was devastated. All the preparation, hard work, and progress was left in a hundred messily scribbled notes in my MUN folder, to be put away for another time. I hadn’t gotten enough in just one day. I was hooked. 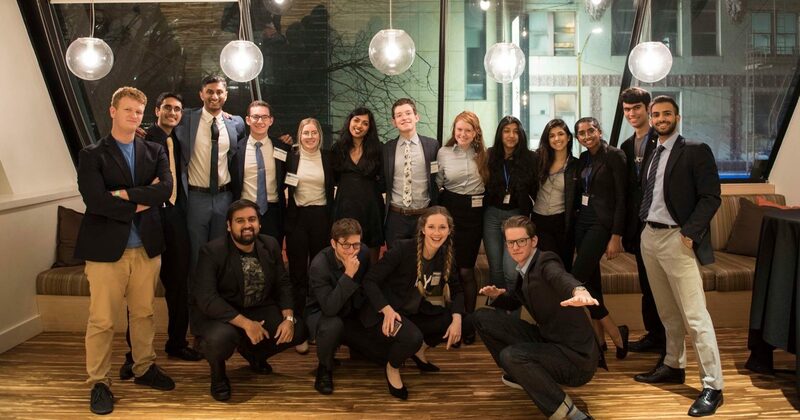 The next year I returned to MUN in a leadership role, slightly disappointed I wouldn’t have a chance to redeem myself as a delegate but excited to allow other students to experience what I had fallen in love with a year prior–the debating, the strategy, the ideation of solutions to issues that actually mattered. I served as the crisis director for a committee, and my senior year was chair of the largest committee at TCMUN. 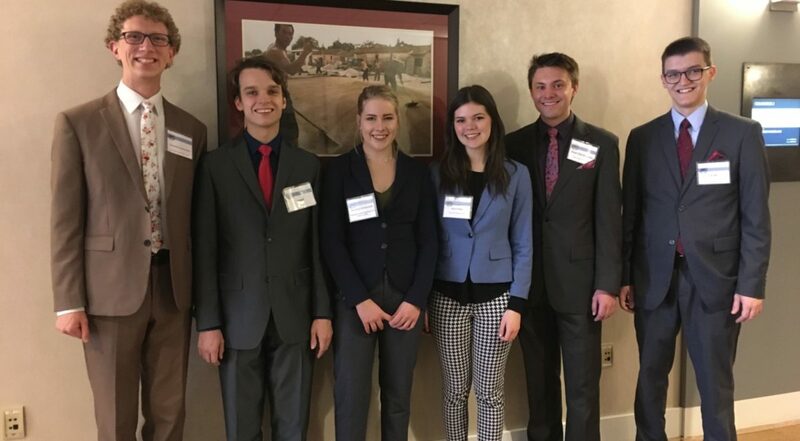 Along the way, I began plotting my return as a delegate, and IC21 aided in that journey by organizing a trip for around 30 students from Teton County to travel to Washinton D.C. to participate in WAMUNC. I was disappointed to be assigned the Republican National Council, ordered to choose a presidential candidate and platform for the 2016 election, but I valiantly embodied the given role alongside my partner Fuller Ross. By the end of the conference, I was left ruminating how I couldn’t have imagined being in any other committee. This is one of the most beautiful things about MUN–you’re forced to throw your existing opinions out the window and view issues from a more holistic perspective, finding compromises and broadening your world view along the way. The next year, with IC21’s support, we had the privilege of attending UCBMUN in Berkeley, California. At what I thought was my last conference ever, I finally got redemption from missing out on an award at that first TCMUN conference, walking away with a commendation from the Arab League committee. Though I thought I might’ve been done with MUN, it wasn’t through with me yet. I moved to Salt Lake City the next year to attend the University of Utah, where a professor in one of my classes my freshman year held a watered-down version of an MUN simulation in our class, and I realized I still wanted MUN to be a part of my life. One day after class, I asked him if there was a MUN club at the University of Utah. He shook his head, a tinge of sadness hanging on his words as he mentioned the strong MUN programs at Utah State and Brigham Young University. Still, he put me in contact with another student who had the same hope for a collegiate MUN experience, and with the words of every college tour guide ever lingering on my mind (“If you don’t find what you’re looking for in our over 600 student clubs, you can start your own!”), we founded MUN at the U of U. Our first year was riddled with rough patches and Anthony (my co-conspirator) attended a Model EU conference instead of MUN, so I was left solo to coordinate bringing six students to San Francisco for participation in the Berkeley collegiate MUN conference. While we hit countless roadblocks along the way, we left the conference with five new young adults who had the exact feeling that I felt after my first conference: they were hooked. Anthony graduated that year, and I was left to run the club on my own; feeling quite reluctant about such a daunting task, especially given the struggles we faced in San Francisco. That summer, while back in DC, I received news that my good friend and prior MUN partner-in-crime Fuller had passed away. Pressed by the weight of the tragedy in the same city I where had spent every waking hour with him a few years before, I felt incredibly saddened. Rather than allow myself to be defeated, however, I could only take inspiration from his drive and spirit. We amped up outreach this past fall following his passing, and our first meeting of the semester was attended by over 40 students. More stressed about logistical capabilities than ever before, I still knew deep down I had the opportunity to share MUN with as many people as possible.